Cheap flights to Morocco: Marrakech from London for only £39! 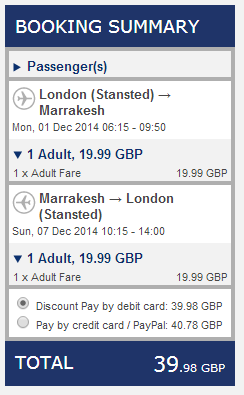 Return tickets from London (Stansted) to Marrakech will cost you only £39 / €49! Travel dates are in December 2014. There are also many dates available in November for £49. « Cheap flights to Thailand: Bangkok in main season with Qatar for €445!